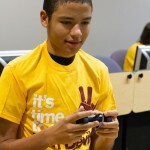 Photos from Game Camp and Robotics Camp at the School of Computing, Informatics, and Decision Systems Engineering. 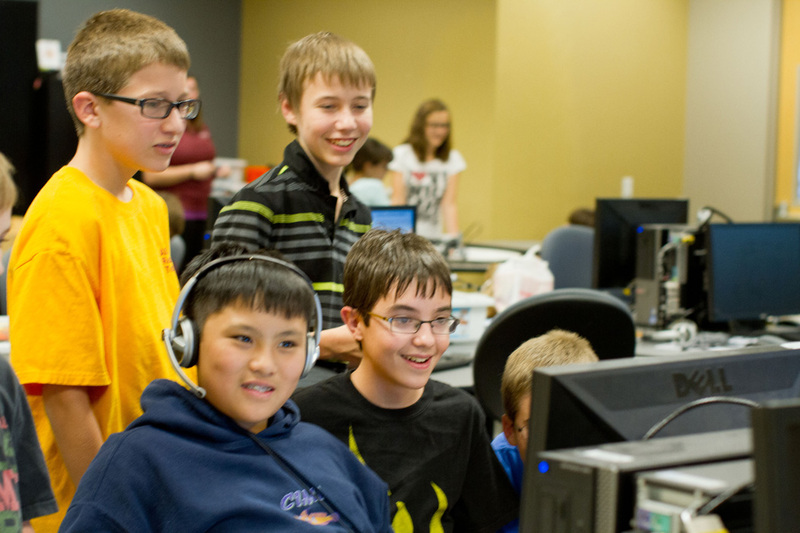 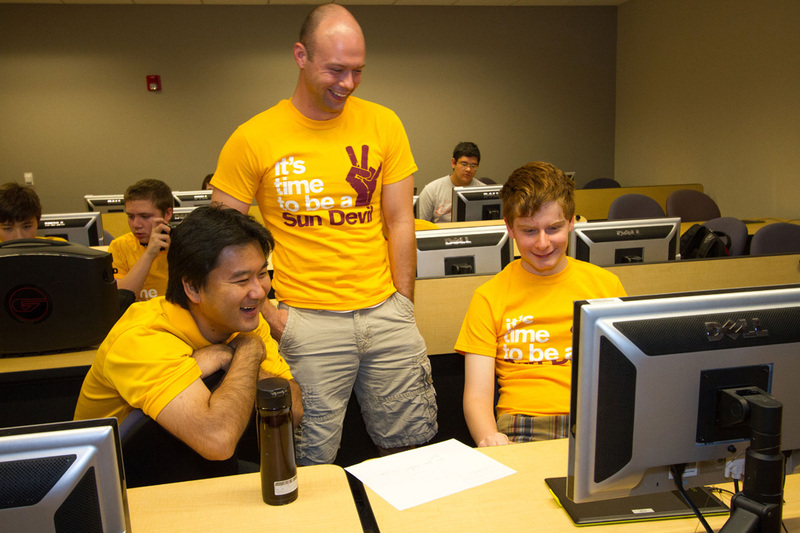 Led by lecturer Yoshihiro Kobayashi, Game Camp engages middle and high school students in intensive video game creation, visualization and production. 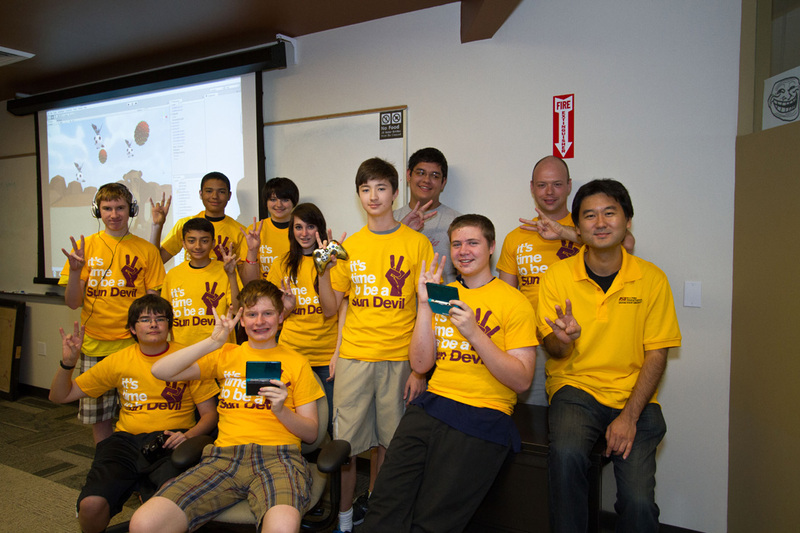 Sponsored by the U.S. Department of Education, Intel and CIDSE, Robotics Camp is a summer program for high school students who intend to pursue science and engineering careers. 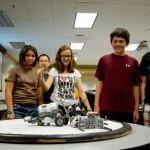 The program uses robot construction and programming to teach the latest engineering design concepts and computing technologies. 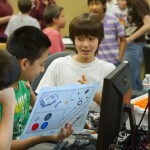 The program is led by lecturer Yinong Chen. 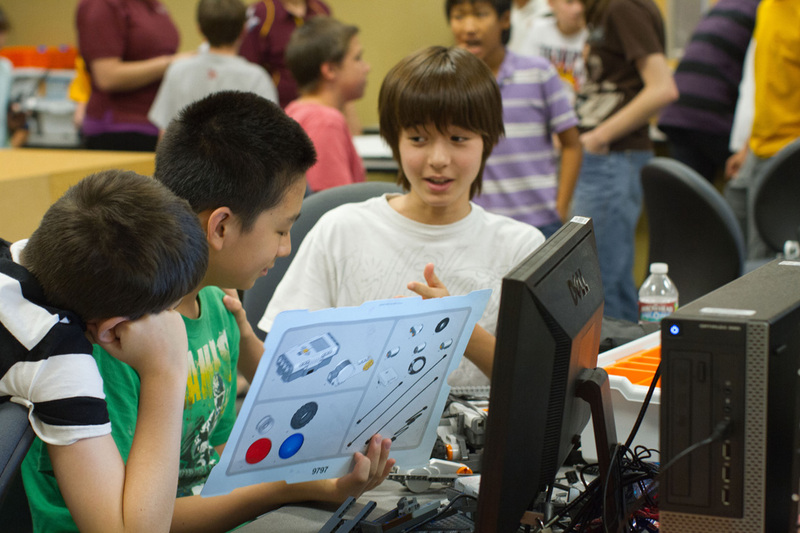 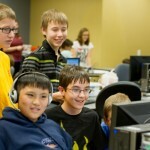 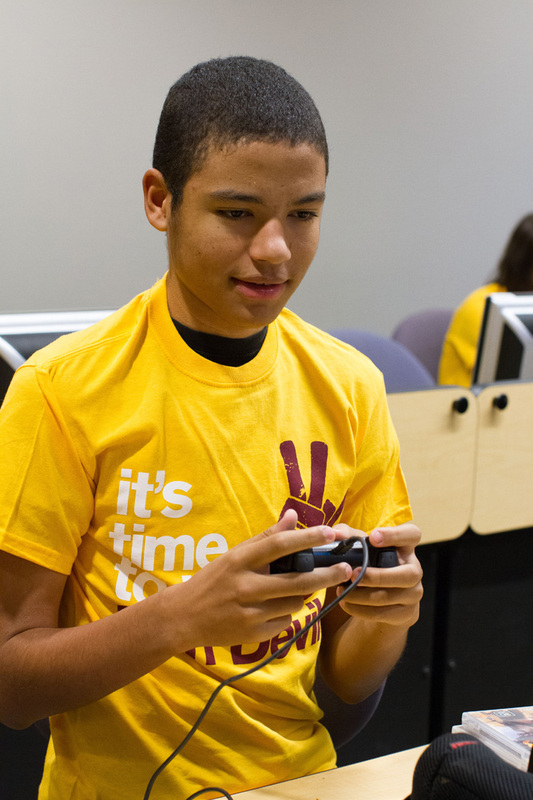 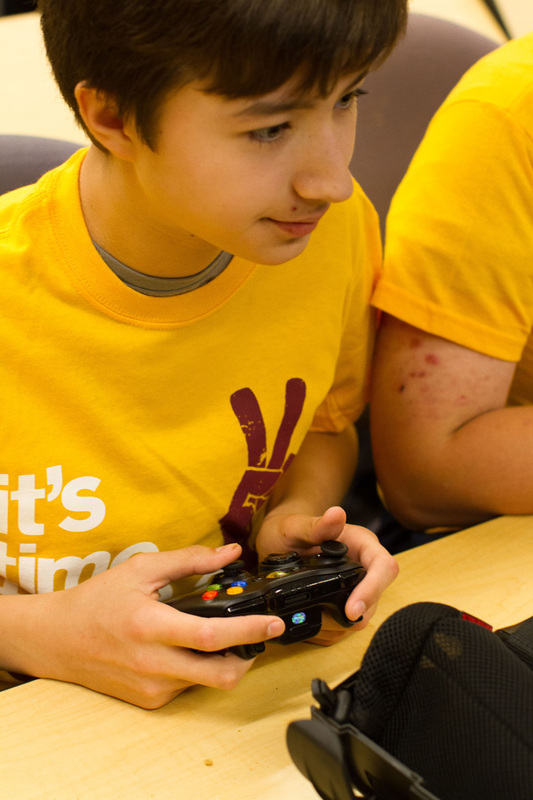 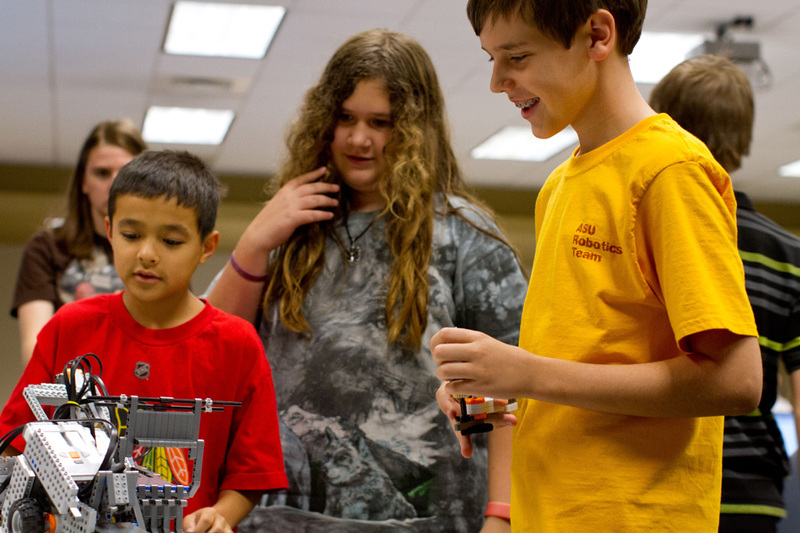 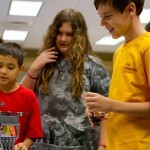 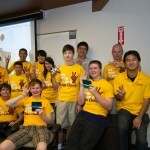 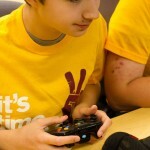 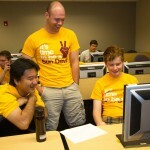 More on Fulton Engineering summer camps: http://engineering.asu.edu/outreach.